All check-ins will be held next door at our sister campground, Steel Wheel Trading Post. Hidden Valley Campground is seven acres of shady valley. We are six miles South of Deadwood on Highway 385. 1,500' off the highway and at an elevation of 5280', we can provide campers a pleasant place to stay while enjoying the Black Hills. Paradise Creek flows through the campground and joins up with Bear Butte Creek. Pine trees provide shade at most of the sites. Some of the sites are under trees as well as along the creek. You won't find a better place for a great night's sleep, which you might need after spending the day seeing the many beautiful, interesting, & fun sights in the Black Hills. 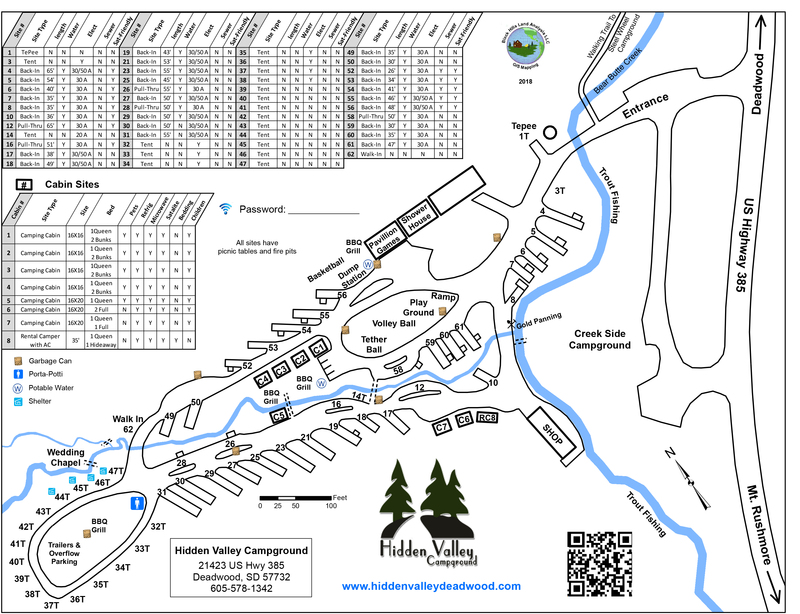 At Hidden Valley Campground we encourage you to drive through and check us out!